Looking for ideas for Christmas presents for doggie friends, family, you and/or your dogs? Here are some suggestions but better be quick. The shop is only open for three weeks. Beautiful Christmas stockings for the dog/dogs you love, embroidered with their name from S.P.Ytech. Email for design options. Unique castings of your pooches paws. We offer imprint Kits and gift vouchers as well as a completely bespoke service, so please contact us for options and exact prices. Gorgeous coasters featuring your own dog. Just email me your picture. Handmade with care, love and attention. High gloss, heat resistant and washable. 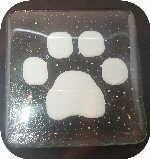 Price: £5.00 each including postage Discount of £16 for 4. Each image can be different. Last date to order: 13th December to be posted by 20th December 2018. 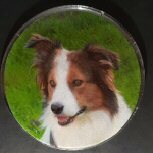 Immortalise your dog with a beautiful portrait, painted in pastels or a handpainted house plaque. Gift vouchers also available. Price: Starting at £60 for a 12"x10"
Perfect for the morning coffee mug in front of the laptop or the first Wine of the evening. Available in mint green, white or petal pink. Month to view. Filled in with all KC & UKA shows + details of all KC qualifiers and Championship Shows to plan your year ahead. A great gift for friends, family or yourself. A beautiful organiser style calendar with original images of agility dogs by artist Ally Tate. With a useful to do list. 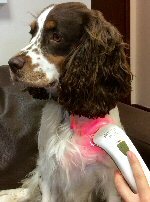 Treat your pet family to fabulous natural healing power of red/infrared light with Photizo Vetcare this Christmas and get a free tote bag. Photizo Vetcare also ideal for pain relief and numerous musculoskeletal issues. What an excellent Christmas present for family and friends who use ball throwers for their ball obsessed dogs. 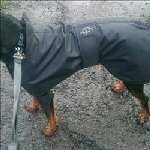 Treat your loved one this Christmas with a quality made Woodlands Dog coat. Great gifts for stocking fillers. Price: Starting from as little as £9.60. 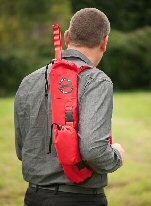 Hoopers is a smooth and free flowing sport based on the dog's love of running. The hoops themselves are lightweight, plastic and tall enough to accommodate even giant breeds. 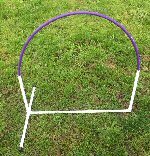 Made to specifications required by Canine Hoopers UK. End caps on the feet. Choice of colours:- red, yellow, blue, green, light blue, orange, black, purple and silver. Price: £15 each, buy 10 and get two free. Postage £15. 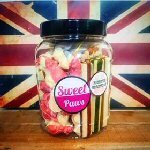 Small and Large hampers containing 100% natural dog treats and chews. Available for all sizes of dogs. If your dog has allergies or can't eat a specific treat, we would be happy to substitute it for you. 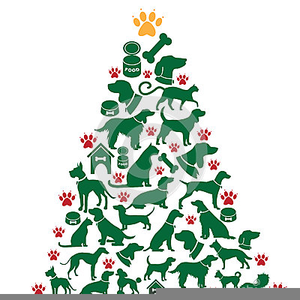 What are your canine companions asking for this Christmas? Imagine their surprise when they wake up to a box of YuMOVE in their stocking on Christmas morning! 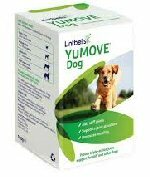 YuMOVE is a proven, triple-action joint supplement for dogs who are stiff or getting older. It makes a tail-wagging difference and means your four-legged pal will enjoy Christmas Day walkies that much more.